So we have been working on opinion writing with our first graders. They have lots of opinions on a variety of topics- authors, cafeteria food, how much recess they should have, how much television, what time they should go to bed. They are not as good at the reasons for their opinions. Yesterday, one little friend wrote that she liked to ride her bike because it was fun. And funner, And you could have fun. When I met with the first grade team yesterday, we decided we needed to work on reasons. Luz, the ELA-S teacher, had tried something the week before and said it really helped her kids. She chose photographs that represented their supporting details. Then she put the photographs on a chart, and the six year olds used them to help them think about their reasons. First grade is going to the zoo in a couple of weeks, and we decided we would try Luz' activity with an opinion piece about the zoo. We brainstormed a list of reasons- various animals, the carousel, the train, duck lake, the reptile house, snacks, etc., and found/drew pictures of all of those things. The kids did really well. Using the pictures, hey chose reasons and talked and wrote beautifully. My favorite reason, though, was one we had never thought of. Thomas is looking forward to the class about the lions. If you are very careful, he tells us, you can put two fingers out and pet the lions very gently. 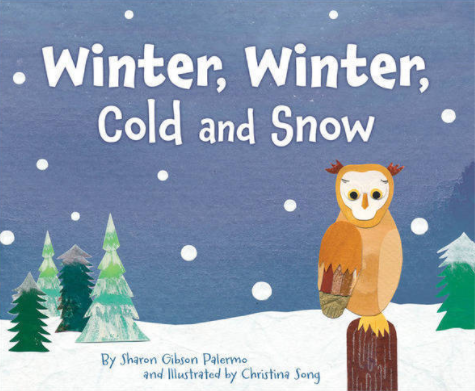 Last week, I shared WINTER, WINTER, COLD AND SNOW, and talked about how much I love putting poetry into the hearts and mouths of my littlest readers. This week's book will be a perfect companion to WINTER, WINTER, and will also be a terrific addition to your nonfiction animal collection. 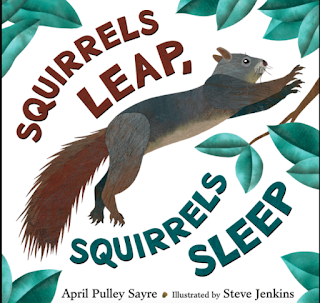 April Pulley Sayre's SQUIRRELS LEAP, SQUIRRELS SLEEP is a poetic picture book. 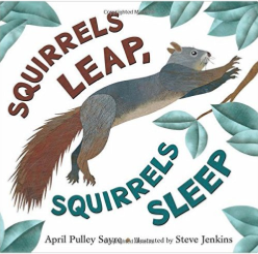 The body of the book is quick rhymes, focused on different aspects of squirrels. The rhymes are short and sweet, and contain just enough information to whet the reader's whistle for more. The book also includes several pages of terrific nonfiction back matter, where kids can learn more about squirrels. I could see myself using this to talk about how writers have to do research, how poets and scientists are both researchers, etc. And then, as an added bonus, SQUIRRELS LEAP, SQUIRRELS SLEEP is illustrated by the ever wonderful Steve Jenkins! Need I say more??! Karen Edmisten, a lucky duck who is anticipating a snow day, is hosting Poetry Friday today. About a month ago, I joined Weight Watchers. The actual meeting kind. Not the online kind. And I've discovered, I am what they call a turtle. I lose weight really, really slowly. In six weeks, I have lost about six pounds. And it's a teeny bit discouraging because lots of people are losing a whole lot more. Last week was really discouraging. I followed the program. I didn't eat junk food- not one cupcake, not one cookie, not one piece of candy on Valentine's Day. Nothing. Friday was a faculty breakfast potluck and I didn't eat anything there either. No breakfast burritos, no scalloped potatoes, no doughnuts. Nothing. When Saturday's weigh in came, I thought I was going to do really well. Maybe even a couple of pounds. But instead, I gained .6 of a pound. And I was really frustrated. At the meeting that day, Cheri, my leader, said something that I have been thinking about all week. She said that when you think about losing weight in terms of three P's- positivity, patience, and perseverance. You have to be positive that you can do it. You have to be patient. And you have to persevere, even when it's hard or when you aren't seeing much progress. That made sense to me and I have been thinking about it all week. I've been thinking about those three P's not only in the context of weight loss, though. I've also been thinking about them in terms of school. We are entering into test season and people are, ummm, more than a little tense. It's easy to get discouraged, to look at kids in terms of how far they have to go, instead of how far they have come. And I need to focus on being positive and kind and encouraging with all of our kiddos. And with their teachers too. And then there's the patience thing. Growth takes time, lots of it. And sometimes, with the test looming, that's hard to remember. Finally, there's perseverance. Do not give up. Do not give up. Do not give up. Just keep smiling and putting one foot in front of the other. Day after day after day. The three P's. Positivity. Patience, Perseverance. Big truth for Weight Watchers and for school. 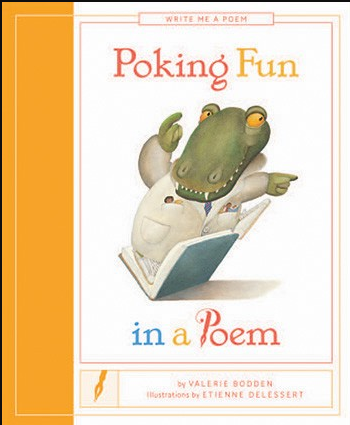 Not sure exactly what to say about this book. I borrowed it from the library and now I need to go buy my own copy, or maybe 5 copies, so I can pass it to every kid I know. Middle schooler Castle Crenshaw, a.k.a. Ghost, has spent his entire life running. His earliest memory goes back to the night he and his mother ran down the street as his father chased them, waving a shot gun. He's spent pretty much the rest of his life trying to forget that incident. But the trauma has shaped him. Hugely. Castle happens upon the Defenders, an elite middle school track team. An informal encounter with one of their best sprinters leads to an invitation from the coach and Castle finds himself on the team. He doesn't have track shoes, though, and makes the unfortunate decision to steal them from a local sporting goods store. Ghost is real and it's gritty. But it's not all dark. The main characters are middle schoolers. Middle schoolers are funny. A lot of the time. And Reynolds' characters definitely fit into that mold. Castle reads Guiness record type books and random facts are scattered throughout the book. I know kids are going to love those too. Jason Reynolds gets urban kids. Gets my boys. Gets the kids I teach. I wish I had had this book to hand to my own, African American, fatherless, track-running sons about ten years ago. Castle is my boys. Coach is the men who worked with them, practice after practice after practice. Decision after decision after decision. Year after year after year. Oh, and did I mention it's the first in a series and the next one comes out next fall. 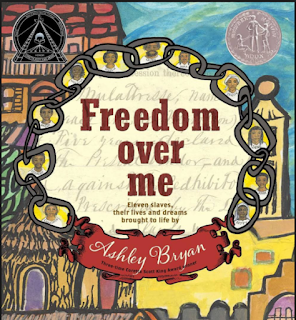 The book won the CYBILS intermediate grade fiction category last week. Here's a link to the New York Times review (written by another favorite author, Kate Messner). Here's a link to a National Book Foundation interview. Chickadee, Chickadee Who do you know? 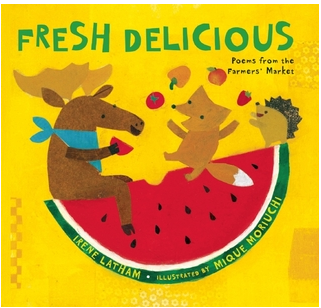 The little guys always love animals, and this book has some old favorites like bears and owls, but also some that are more unusual- beavers and woodchucks, for example. I see lots of potential science discussions and wonderings about where animals go and how they take care of themselves in winter. The paper collage illustrations are colorful and interesting, yet not too busy for young children. Pretty sure that WINTER, WINTER COLD AND SNOW is one that my little younger kids are going to love! I'm looking forward to sharing it on our next snowy day. 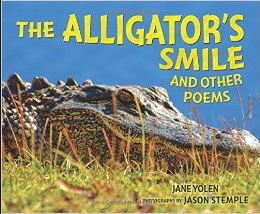 Jone has the POETRY FRIDAY ROUNDUP at CHECK IT OUT. The questions started at 8:30 this morning, with my first kindergarten reading group. "Dr. Carol," she says anxiously, "do you think we are missing the party?" "No, sweetie, the party is at 2:00. That's after math, and after recess and after lunch and after specials. You're not missing the party." 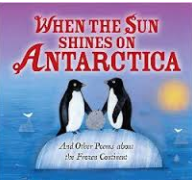 We read for a few more minutes, then with a five year old's sense of time, she asks again. "Are you sure?" she says anxiously. "Maybe they are doing cards. I didn't get a chance to do my cards yet." "Sweetie, there will be lots of time for cards. Cards are this afternoon. We are only going to read for a few minutes, then you can go back in and do your cards." 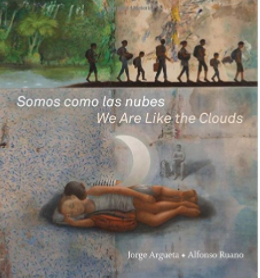 We return to our book. We read a few more pages. "They might be having candy. I brought candy," she says anxiously. "I need to go back inside." I assure her, once again, that they are not having candy or anything else, for quite a while. She asks, more than once, if I am sure. Finally, at 8:50, I give up, and the group of three returns to the class. After all, no one wants to miss cards. Or candy. Twice a year, I participate in the #pbtenforten, where people share their favorite ten picture books. During the summer, it's fiction picture books. 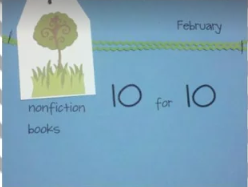 Every February, it's nonfiction. 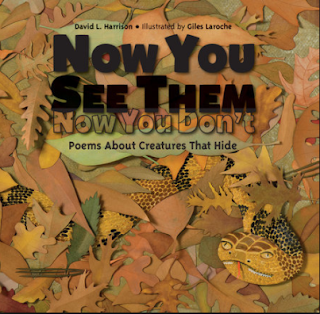 This year, I'm sharing a group of picture books that blend poetry and nonfiction. This 2016 Newbery Honor Book was one of my favorite CYBILS nominees. Poems told from the point of view of slaves about to be sold. 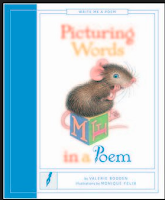 This four book series delves into different tools the poet uses. A nice addition to any elementary library. I met him when he came to our school last year. He was a fourth grader transferring from a neighboring school. Happy. Busy. Personable. One of those kids who was capable of absolutely terrific work, which he sometimes did, and sometimes didn't do, depending on whatever particular projects he had pending. And he always had projects pending. A superhero to draw. A question to research. An origami project to create. Those independent projects truly were his top priority. I saw a similar kid when he started fifth grade. He always did terrific thinking. Devoured books voraciously. Sometimes wrote well. If he didn't have something more interesting going on. But there were always projects. Most recently, it was fancy paper airplanes. He and all his buddies dug through the recycle bins for paper. Or begged it off of unsuspecting teachers (not to mention any names). He folded plane after plane after plane. Taught all of the other fifth graders to fold them. For a couple of weeks before winter break, plane flying replaced soccer during lunch recess. And then after Christmas a different kid came back to school. Quiet. Distant. Blatantly refusing to follow directions. Accomplishing nothing. I tried to talk to him. No response. I called his mom. He told me that got him in trouble, which wasn't my intent at all. I just wanted his mom to know I was worried about him. I missed his projects. Finally he talked to his teacher. His dog died over Christmas break. Things are never going to get better. He is always going to be like this. His teacher talked to him. Talked to his parents. They were surprised. Thought he was ok. He wasn't. Our principal, a total dog lover, talked to him. Still not ok. Yesterday, he made it down to the principal's office again. She was in the assistant principal's office with another student, and I talked to him again. Told him about losing my mom's dog, Boo, in October and how sad that made me feel. Reminded him of Jack in LOVE THAT DOG, a book he had read in fourth grade. Offered him a journal I had in my desk. Asked if he wanted to talk to our school psychologist. Not a glimmer of that smart, question asking, project planning kid I know. I really miss that kid. I hope he finds his way back to us soon.